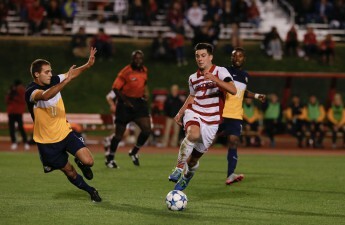 After a dominant win by the University of Wisconsin-Madison Men’s soccer team against in-state rival University of Wisconsin-Green Bay on Tuesday, the Badgers will travel to College Park on Friday to take on the No. 1 University of Maryland Terrapins. The Badgers (8-2-2, 3-1-1 Big Ten) have gone 6-1-1 in their past eight games, including their last win, a 3-0 pounding of the Phoenix in Madison. UW-Madison has defied expectations this year with eight wins in only two months, two more than all of last season. Their record of 3-1-1 in-conference places them in a tie for second place in the Big Ten standings with then-No. 21 Michigan State University, a team the Badgers tied in a defensive fueled match last week, 1-1. UW-Madison now has their shot at the best team in the Big Ten and the nation, the Maryland Terrapins (10-0-2, 5-0-1 Big Ten). Despite being one of two undefeated teams in the entire country, the Terrapins have tied two of their games this season. Their first one came against UCLA in Los Angeles, a game which had a 10 p.m. start time and came in the first weekend of the season. Their other tie came three games later against Indiana in their conference opener. Both games were 1-1 ties and were followed up by three game win streaks. Those games were ones where Maryland’s high powered offense was slowed down. The Terrapins have scored more than one goal in all but three of their games this season and have scored four or more goals three times. They have also outscored their opponents 13-0 in their past five games and will face a Wisconsin offense that has been relatively tame throughout the year. The Badgers have never scored more than three and have only done that twice. Despite the lull on the offense, the Badgers are a gritty and defensive team. The team has shutout four of their last five opponents and has done what it takes to win in the crunch time. 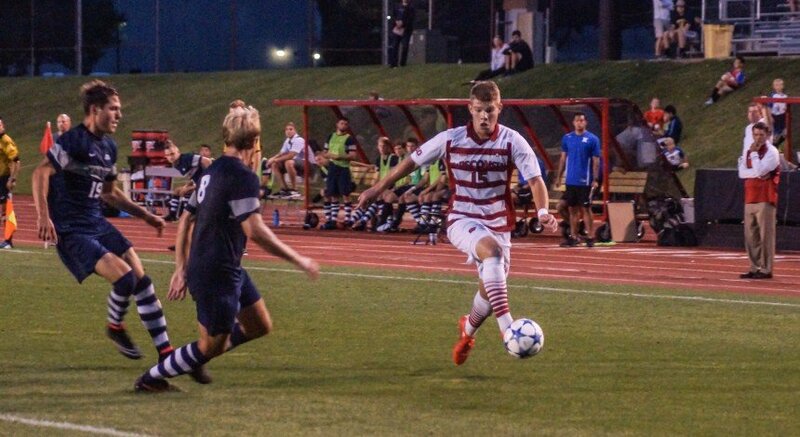 Star sophomore defender Sam Brotherton and redshirt junior keeper Phillip Schilling have formed a dynamic defending duo this season, allowing only nine goals in 13 games and just one in their last five. To beat the Terrapins and notch one of their biggest wins in recent program history, the Badgers will have to remain consistent in their fundamentals but amp up the intensity. 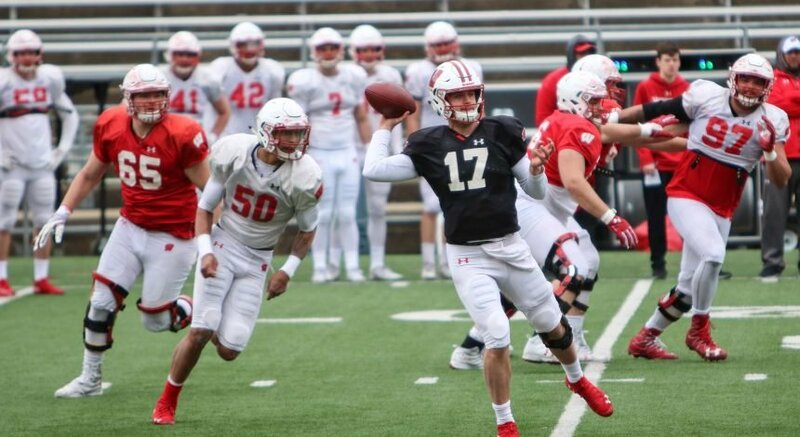 UW-Madison’s defense is one of their strengths and they’ll need a heavy dosage of it against the dominant Maryland offense. UW-Madison’s offense has been pretty balanced across the board this season and doesn’t rely on any one player. But the duo of junior forwards Christopher Mueller and Mike Catalano have had great seasons so far, leading the team in most offense statistics. If the Badgers are hoping to come out of College Park with a win, that duo and the rest of their offensive attack will have to have their best performance so far. Maryland is one of the most hostile environments in men’s soccer and will be an enormous test for a Badger squad looking to prove itself against top tier talent.